Vice President of Finance. B.S.B.A., Finance and Banking, B.S.B.A., Real Estate, M.B.A., University of Missouri - Columbia. Senior Director of Admissions. B.A., College of Saint Benedict; M.S.O.D., Avila University. Associate Dean, School of Professional Studies. B.A., M.S.O.D., Avila University. Director of Graduate Psychology Admissions. B.S., M.B.A., Missouri State University. TRIO Project Director., B.A. Midland University; M.A., Creighton University. Assistant Professor of Nursing, B.S.N., University of Nebraska-Lincoln; M.S.N., University of Missouri-Columbia. Associate Professor of Psychology and Director of Counseling Psychology. B.A., University of California-Irvine; Ph.D., University of Missouri-Kansas City. Associate Professor of Theatre and Director of Performance Studies. B.A., California State University-Long Beach; M.F.A., Florida State University. Assistant Professor of Business. B.S., M.A., University of Central Missouri. Professor of Management. B.S., University of Calcutta; Ph.D., University of Southern California. Lecturer in Psychology. B.A., Saint Mary College; M.S., Avila University. Assistant Professor of Computer Science. B.S., M.S., University of Missouri-Rolla. Assistant Professor of Psychology. B.A., Baker University; M.S., Ph.D., University of North Texas. Professor of Biology. B.A., University of Missouri-Columbia; M.A., University of Missouri-Kansas City; Ph.D., University of Missouri-Columbia. Assistant Professor for the Healthcare Informatics Program. B.A., Bombay University; M.S., M.I.S., Nothern Illinois University; Ph.D., University of Kansas Medical Center. Assistant Professor of Psychology and Director of Counseling Psychology and Clinical Training. B.A., M.A., Truman State University; Ph.D., University of Missouri-Kansas City. Assistant Professor of Communication. B.A., University of Missouri-Kansas City; M.L.A., Baker University. Professor of Business and Dean of the School of Business. B.A., University of South Florida; M.A., University of Iowa; D.A., Illinois State University. Assistant Professor of Catholic Studies. B.A., Northern Arizona University; M.A., Ph.D., Graduate Theological Union; M.Div., Pacific School of Religion; CSJA. B.S., Missouri State University; M.B.A., University of Missouri-Kansas City. Lecturer in Business. B.A., University of Michigan; J.D., University of Missouri-Kansas City. Lecturer in Organizational Development. B.A., William Paterson University; M.A., M.P.A., M.B.A., University of Missouri-Kansas City. B.S., M.P.A., University of Missouri-Kansas City. B.A., William Jewell; M.B.A., University of Missouri-Kansas City. B.S., Langston University; M.S., Kansas State University. B.S., University of Central Missouri; M.S.O.D., Avila University. B.B.A., M.B.A., University of Missouri-Kansas City. B.G.S., University of Kansas; M.S.O.D., Avila University. M.A., Fielding Graduate University; M.S. University of Kansas. Visiting Professor in the Hartsook Institute for Fundraising. M.B.A., Heriot-Watt University, Ph.D., University of Exeter. B.A., Kansas State University; M.A.,University of Nebraska-Lincoln. Lecturer in Organizational Development. M.S.O.D., The American University/NTL Institute for Applied Behavioral Science. B.B.A., University of Missouri-Kansas City; M.S., Avila University. B.S., Park University; M.B.A., Mid-America Nazarene University. M.Ed., Antioch University; Ed.D., Kansas University. B.A., Rockhurst University; M.S., Texas Women University. B.S., DeVry University; M.B.A., Avila University. B.S., California State University; M.B.A., University of Nevada; Ph.D., California Coast University. B.B.A., M.B.A., University of Toledo; M.A., Bowling Green; M.A., Washington University. B.A., University of Missouri-Kansas City; M.B.A., Avila University. B.S., University of Missouri-Columbia; M.S., University of Central Missouri. B.S., South Dakota State University; M.B.A., Rockhurst University; M.S., The University of Kansas; M.A., University of Missouri-Kansas City. B.S., Washington State University in St. Louis; J.D., Saint Louis University. B.S., University of Central Missouri; M.A., Webster University, Ed.D., Saint Louis University. B.S., M.Ed., University of Missouri-Columbia; Ed.S., University of Central Missouri. B.S., Iowa State University; M.A., University of Kansas; Ed.D., University of Missouri. B.A., Rockhurst University; M.A., Webster University; Ed.D., Baker University. B.A., Park University; M.Ed., Ed.S., University of Missouri-Kansas City. B.A., William Jewell College; M.S.Ed., University of Central Missouri. B.S., Southwest Baptist University; M.S., Kansas State University. B.S., Oakland University; M.A., Avila University. B.A., B.S., M.S.Ed., Ph.D., University of Kansas. B.A., William Jewell College; M.A., University of Missouri-Kansas City. B.A., University of Kansas; M.A., Avila University; Ed.S., University of Missouri-Kansas City. B.A., William Jewell College; M.Ed., Rockhurst University. B.S., Northwest Missouri State University; M.S., Central Missouri State University; Ed.D., Baker University. B.S., Avila University; M.A.Ed., Baker University; Ed.D., Walden University. B.S., Avila University; M.A., Baker University; M.S., University of Phoenix; Doctoral Candidate, Baker University. B.A., University of Kansas; M.A., University of Missouri-Kansas City. B.S., Avila University; M.A., University of Missouri-Kansas City, Ph.D. Candidate, University of Kansas. B.S., University of Kansas; M.A., University of Missouri-Kansas City. B.S., Missouri State University; M.A.T., Webster University; Ed.D., Saint Louis University. B.S., Northwest Missouri State University; M.A., University of Missouri-Kansas City; Ed.D., St. Louis University. 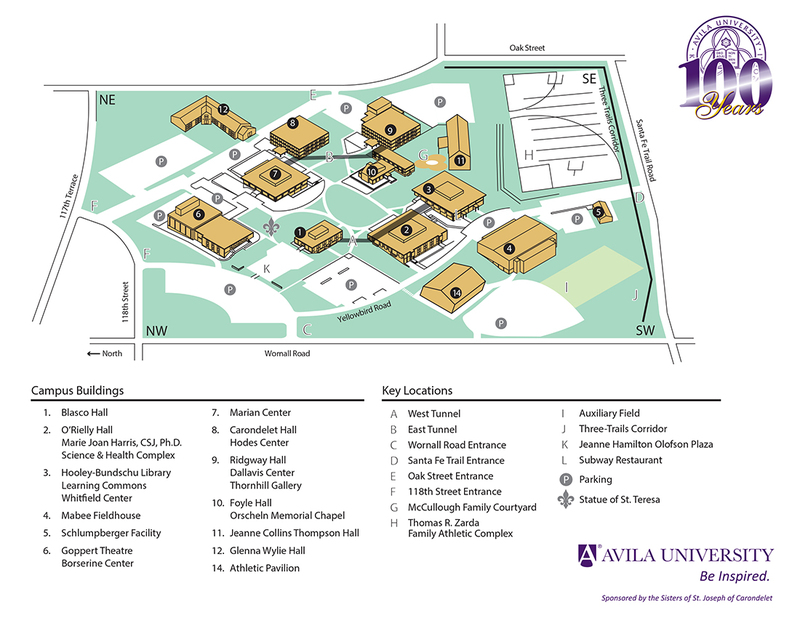 B.A., MidAmerica Nazarene University; M.A., Nazarene Theological Seminary; MBA, Avila University; MSOD, Avila University; Ph.D., University of Kansas. B.A., University of Missouri-Kansas City; M.A., Avila University. B.A., M.A., Indiana University of Pennsylvania. B.S., University of Central Missouri; M.A., University of Missouri-Kansas City; Ph.D., University of Kansas. B.S., University of Central Missouri; M.S., Avila University; Ed.D. St. Louis University. B.S., Northwest Missouri State University; M.Ed., Kansas State University. B.S., Central Missouri State University; M.A., Baker University; Ed.S., William Woods University; Ed.D., University of Missouri-Columbia. B.S., Central Missouri State University; M.A., Webster University. B.A., Kansas State University; M.A., University of Missouri-Kansas City. B.A., Southwest Baptist University; M.A., Southwest Missouri State University. B.S., Indiana University of Pennsylvania; M.Ed., MidAmerica Nazarene University; Ed.S., Central Missouri State University. B.S., Indiana University; M.A., Avila University. B.S., University Central Missouri; M.A., Webster University; Ed.D., St. Louis University. B.A., Wellesley College; M.A., Boston University; Ed.D., University of Kansas. B.A., M.Ed., Ed.S., University of Missouri-Columbia; Ed.S., University of Central Missouri. B.A., Park University; M.Ed., University of Missouri-Columbia; Ed.S., University of Missouri-Kansas City; Ed.D., University of Missouri-Columbia. B.A., University of Pennsylvania; M.Ed., George Mason University. B.A., University of Missouri-Columbia; M.S., Avila University. B.A., Washington University; M.A., Southern Illinois University; Ph.D., University of South Carolina. B.S., University of Missouri; B.A., University of Central Texas; M.S., Avila University. B.A. Rockhurst University; M.A., Ph.D., University of Missouri-Columbia. B.A., M.A., University of Missouri-Kansas City; Psy.D., The School of Professional Psychology at Forest Institute. B.S., Park University; M.A., University of Missouri-Kansas City; Ph.D., Nova Southeastern University. B.A. Spelman College; Ph.D., University of Missouri-Kansas City. B.S., Northwest Missouri State University; M.A., Psy.D., Forest Institute of Professional Psychology. B.S., University of Alaska-Fairbanks; M.A., Psy.D., Forest Institute of Professional Psychology. M.A., Ph.D., Michigan State University. B.S., Park University; M.A., University of Saint Mary. M.Ed., Ed.S., Ph.D., University of Missouri-Columbia. B.A., University of Iowa; M.S., Walden University. M.A., Ph.D., University of Missouri-Kansas City. M.S., University of Kansas; Ph.D., University of Memphis. B.A., University of Nebraska-Lincoln; M.A., Abilene Christian University; Psy.D., Florida Institute of Technology. B.A., Hastings College; Psy.D., Spalding University. B.A., University of Dallas; M.A., University of North Texas; Ph.D., Pennsylvania State University.